11:03 a.m., Feb. 22, 2012--Can diseases in human populations be detected and prevented? How many currents can one electrical power grid handle? Who detects the community structure of large social networks? These are just a few of the emerging real-world graph problems that engineers currently examine. David A. Bader, from Georgia Institute of Technology, is a leading expert on massive-scale social networks, combinatorial optimization and parallel algorithms. Bader serves as the executive director for high performance computing at Georgia Tech, where he is a professor in the School of Computational Science and Engineering, College of Computing. His current research interests include massive-scale data analytics and computational genomics and biology, as well as multicore, manycore and multithread computing for data-intensive applications. Bader also serves a lead scientist for the Defense Advanced Research Project Agency (DARPA) Ubiquitous High Performance Computing program. Bader is a fellow of IEEE and the American Association for the Advancement of Science (AAAS). He is the co-author of over 100 articles for conferences and peer-reviewed journals. He is an associate editor for several high impact publications including the Journal of Parallel and Distributed Computing, ACM Journal of Experimental Algorithmics and IEEE DSOnline. 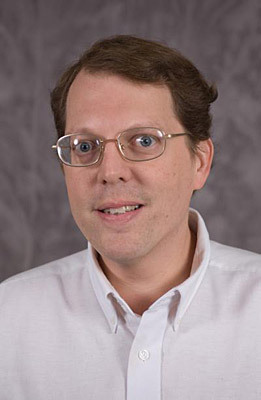 He has also served as associate editor for the IEEE Transactions on Parallel and Distributed Systems. A National Science Foundation Faculty Early Career Development Award recipient, Bader’s research is supported by NSF, the National Intitutes of Health, DARPA, and the Department of Energy. HPCwire recently named Bader among people to watch in 2012 and insideHPC recently called him a "rock star" of high performance computing. The talk is part of the Distinguished Lecture Series sponsored by the Department of Computer and Information Sciences at UD.